Most diets aren’t maintainable, whether it is a low-fat diet, low-calorie diet, or vegan diet. Many of us tend to go back the most convenient way of eating. By just simply thinking about preparing daily meals using new ingredients requires so much time and effort that is why we end up eating too much. For instance, you will get obvious results on your keto diet after two weeks, but it could be too much of transformation that you would not make it that far. In the beginning, it looks like inconvenient and complex that is why you end up going back to your previous lifestyle and lose your patience. Actually, experiencing those kinds of situation is normal if you are on a diet, but the transformation itself is not the issue. Because the real issue is the difficulty and inconvenience. However, the primary solution to this issue is to transform your overwhelming dietary ups and downs to a convenient lifestyle. On the other hand, there is also another solution that you can use instantly even though you don’t have knowledge in health, keto, diets, and cooking, the KETO FAT BOMBS. The question is, have you already heard this term? If so, then that is good for you, but if not, keep reading this content because we will show you some facts so that you will be able to understand keto fat bombs better. What Are Exactly Keto Fat Bombs? Keto fat bombs are small treats or snacks that are low in carbs and high in fat that you can consume as quick mid-afternoon snack or breakfast or before or after a workout. Fat bombs offer lots of benefits that you would not get if you eat foods that are rich in protein. As a matter of fact, it consists of 90 percent fats and comes in a wide variety of flavors. Most importantly, they are easy to prepare. They will provide your body an ability to absorb several fat-soluble vitamins such as vitamin A, vitamin D, and vitamin E.
It slows down the digestion and breaks carbs into sugar that is essential for keeping blood sugar levels steady. Every fat bomb recipe consists of three basic ingredients the healthy fats, texture, and flavoring. Mix all the ingredients in a large bowl, though you can also mix them using a blender or food processor. If the type of fat you’re using is solid like coconut oil, make sure to melt it a little. Pour the mixture into a baking pan or muffin cups, but if you don’t have any of these you can form tiny balls using your hands. Freeze or refrigerate it for a couple of hours or until the mixture becomes solid. If you make use of a pan, make sure to cut it into pieces. If you are truly serious about losing weight as well as creating new regime then keto fat bombs can be a great help. However, some of them contain a high amount of fats that is why you need to be careful since it may possibly affect your diet. Nevertheless, there are lots of fat bombs recipes that you can try aside from the five mentioned above. Losing weight can really drive you crazy. And while there are so many types of diet plan and supplements sprouting everywhere with a “Noticeable weight loss in just a week” promises, only a few are “noticeably” living up to their words. Keto diet, in particular, have this strong reputation recognized by many. For most fitness enthusiast, keto diet is but a common word that provides real results to their weight goals. Combined with powerful exogenous ketone supplement, promises turn to reality. Keto diet, short for ketogenic diet, is a popular diet plan with moderate protein, very low carb, and very high-fat food planning. It helps you shred stubborn body fats fast and many more studies linked Keto with amazing health benefits that fight or prevents diseases such as epilepsy, Alzheimer’s disease, diabetes, cancer and so much more. Ketogenically eating means cutting your intake of carbohydrates from 200g to 300g to only 20g to 50g every day, replacing missing carbs with fat. Drastically reducing carbohydrates activates the Ketosis state. Ketosis happens when your body uses fat for energy fuel, instead of carbohydrates. Like how cars use gasoline in order to run, our body needs calories for energy source. Our body’s main energy source is calories from carbs, leaving fats and proteins as options. Normally, you consume more carbs than what your body needs in order to function for the next 24 hours. Unused carbs are stored as UNWANTED and HATED fats that build over time. However, if you drastically cut the carbs in your diet, then the body will turn to Ketosis and will start using stored fats for energy, thus resulting in better body composition and health. Ketosis itself is the reason for burning fats. During ketosis, your body prioritizes stored fats as an energy source instead of carbs. This makes your body into an extremely high- fat-burning state. Again, keto diet is a high-fat diet. Being in ketosis controls your endocrine system in a manner that it reduces your food cravings increasing the CKK or cholecystokinin hormone’s activity. This hormone is usually secreted when you consume protein and fats and is responsible for regulating your appetites, stimulates digestion and delays emptying of the stomach. CCK tends to decrease when you are calorie-deficit. This simply means that your weight loss diet becomes unbearable. However, a study suggested that being in ketosis state actually increase your levels of CKK even while in a calorie deficit diet. Thus, making keto diet a great way to stop binge-eating and curb your appetite. Ketosis mode can drastically increase your sensitivity to insulin leading to improved energy levels and better blood glucose control. With a keto diet, you are forced to eat high-quality sources of veggies, protein, and fats. This eliminates sugar spikes caused by a carb-heavy diet. A keto diet has a macronutrient breakdown of HIGH fat, MODERATE protein, and LOW carbs. You need to live with very low carb intake in order to achieve success with your keto diet. And the one rule you need to take seriously is to track, track, track since additional carbs can slip unnoticed. As much as you want to completely remove carbs from your diet to ensure 100% keto diet success, that’s just not possible. Carbs are everywhere and your body needs it to survive. In general, carbs take 5% of your keto diet. However, the exact amount of how much you can take and still stay in ketosis differs in every individual. Using mobile apps such as MyFitnessPal is a good way to track your carbs intake. Such apps will help you see the exact amount of carbs and calories you eat. Along with tracking your carb intake, you should also be mindful of your protein intake, For most people building lean muscle mass, protein is a must since it promotes muscle growth. However, too much dietary proteins lead to glucogenesis. Right. Glucogenesis is when the body breaks down protein in order to create glucose. Glucogenesis significantly reduces your ketone levels, while spiking your insulin and pulling from your lean muscle. Such process alternately burns fat and protein for fuel that ultimately leads to the high levels of fatigue and the infamous “keto flu”. In order to avoid such situations, you need to only eat moderate protein for your body to stay in fat burning mode. This means reduced muscle based meats and fattier cuts of meats you consume. If you think that it is easy to have low-calorie intake when you are trying to lose weight, then you’re wrong. While you stick to moderate proteins and cutting carbs, you will find yourself not having enough calories from the high fats you are left. Struggling to eat enough calories from fat daily is not good over time. This is because low-calorie levels turn on your body’ starvation mode. This means that your body will start holding on to your body fats and will negatively affect your hormones and other bodily functions, particularly in women. So, you learn how to properly track your calories, protein and carb intake. Is that enough? No. What’s next? Track your ketone levels and make sure that you entered and is staying in ketosis state after every meal. Blood testing is the most accurate and simplest way to check your ketone levels. It uses a blood meter to make a small prick on your finger and measures BHB levels in your blood. This is the most accurate test for measuring ketone levels since there are no factors that can dilute the results. Using a ketonix meter, you can test your ketone levels with your breath. You simply blow into the meter and will show a reading based on the acetone (which are ketones that shows on your breath) level it detected. This test is quite simple. You just pee on a stick, wait for a few moments, and read the strip for your ketone levels. However, urine ketone tests are unreliable. This is because they measure any excess or unused ketones in your body which spills over to your urine. Most people only think about the low-carb, high-fat rule of ketogenic diet. However, you also need to think about the types of food you are eating and don’t just freely throw nutrition out of the window. If you want best results for your diet and to your health, think about the food quality and its nutrients. As I was saying, it is true that you can get to ketosis phase eating any high-fat food— whether it is low or high-quality food. However, eating low-quality fats is not healthy ketosis. You might reach your weight goals but you will end up paying for it in the long run and you will more likely feel really bad about it. Avoid processed food such as cheese products, packaged sausages, and bacon. Steam veggies. This should shrink them down and allow you to eat a lot at once. Create a fat-centric smoothie with vegetables such as spinach and kale. Fiber is responsible to keep things moving along, thus, important for your gut health. So, if your diet is lacking vegetables, then you are also lacking in this area. After following every rule in a keto diet, you still find yourself questioning if it is really effective. Well, it is quite effective, alright. But maybe your body needs a little push to start seeing some weight improvements. This is where exogenous ketone supplements may prove helpful. During ketosis, you restrict yourself with carbs. After a long time of limiting carb intake, your liver will start to metabolize fatty acids. As a byproduct of such process, the body will synthesize ketones or ketone bodies. These ketone bodies served as a substitute energy source for the body. EK, short for Exogenous Ketones, are ketone supplements. By definition, supplements are something that is added to something else in order to enhance or complete it. EK serve as a means of providing your body a deep nutritional ketosis. Exogenous ketone supplements give your body an instant supply of ketone in order to utilize and help you reach ketosis quickly. It simply makes your transition to ketosis faster and less harsh. Nowadays, exogenous ketone supplements are undeniably hot weight loss products. Combined with a proper keto diet, your weight loss goals are close to becoming reality. Here are 5 steps you can follow to use exogenous ketones for weight loss. What’s your ideal weight? What is your weight loss goals? Scale it to something practical and feasible. Don’t make goals that you know you can’t reach for the time being. After you reach that particular goal, then you can aim for something higher. Do not enter a keto diet without being prepared or not having any plan. Frustrations wasted time can be the end result of an unplanned keto diet. Plan what food you should eat, the exercises you will be doing and how will track your progress. In case you are having a hard time losing weight, or you just want fast results, then invest in exogenous ketone supplements. Such supplements can help you transition to ketosis faster. Keto diet needs your tracking expertise. So you better equip yourself with tracking tools such as ketone level test, scale, camera for taking pictures of yourself every now and then, body measurements and mobile phone weight loss tracking apps. Perfect and smooth transitioning to ketosis is not applicable in a keto diet. You will experience sudden insulin spikes, cravings and others that can mislead your regimen. So, if needed, make changes and modifications in your diet and exercises in order to improve your ketone levels and ultimately lose weight. Ketogenic diet guarantees weight loss. However, if you suddenly stop losing weight, see if any of the following could be the culprit and implement needed adjustments. Maybe you are eating more carbs than the necessary percentage. Or maybe there are some carbs secretly slipping in your diet. Whatever it is making sure to always monitor your carb intake so that your body will not return to utilizing carbs as the main energy source. I have mentioned earlier that too much protein intake can cause glucogenesis. This pushes your body to use protein as the new energy source or constantly switching between protein and fat that can lead to “keto flu”. You keep on saying that you are doing the “keto diet” but does not regularly check your ketone levels. So, how can you be so sure that you REALLY ARE in ketosis state? Keto diet does not require to count calories since you are less likely to consume more than 5% of calories from carbs. However, if you find yourself having a hard time losing weight, then you might want to monitor your calorie intake and relatively lose small amounts of fats. Poor quality foods are filled with toxic and artificial ingredients. Such toxins increase the body’s toxic load and can greatly stress your body’s detoxification pathways where nutrients need to operate. Detoxification and biotransformation are nutritionally expensive and energetically costly processes. Depletion of nutritional reserves due to a heavier burden of cleaning toxic loads can offset some benefits you need for the keto diet. While on a keto diet, are you sure that the foods you eat are whole foods? Be reminded that anything that is packaged can be full of hidden carbohydrates and other artificial fillers that can harm your health. While nuts are allowed in a keto diet, you need to know that not all nuts are equally made. Some nuts could be kicking you out of ketosis state. Being on a keto diet also means incorporating fasting. This is because intermittent fasting is a sure way to break through weight loss plateaus. One good reason why the effects of your “keto diet” seem to slow down is the possibility of you getting closer to your goal weight. As you burn fatter, you become more and more energy deficit, so you might notice a slowdown in your fat burning. Lack of sleep makes you fat. How? Not getting enough sleep slows down your metabolism, particularly your resting metabolic rate. It also disrupts dietary hormones and releases irregular amount. Ghrelin (an appetite hormone), in particular, can be released in high amounts while lowering Satiety hormone levels, which leads to making you feel hungry all the time and forcing you to binge-eat. Also, lack of sleep not only manipulates your appetite hormones but also pushes you to crave for comfort foods (carbs) like desserts and snacks with high carb, fat, and calorific value. It is important that you handle your stress levels during a keto diet. When stressed, the body’s adrenal gland releases high amounts of cortisol that triggers the “fight or flight” response. When cortisol levels are elevated, the body also releases glucose into the bloodstream. As blood glucose increases, ketones decreases and vice versa. Insulin rising halts the fat burning process and removes you from ketosis for the next few hours and even days. Before you undergo a keto diet make sure that your hormones are in good shape. Thyroid and adrenal issues can greatly affect any weight loss regime. So, better save yourself from frustrations and expectations and consult a specialist in order to treat underlying problems first. You hear a lot of talk about the keto diet, but the main thing you need to know when getting started is: What can I eat on the Keto Diet? It is the most important question since a diet is all about what you eat. There’s a lot of wrong information out there, so this article will set you straight on the basics you need to know. Plus, read toward the end to catch the super easy hack that might be the thing that will help you succeed on the keto diet. In this article, we’re going to keep it broad, if you want your first week’s meal plan all done for you, check out our Week One Meal Plan here, it’s free. Meats that are unprocessed are keto-friendly and low carb foods. However, grass-fed as well as organic meats are the healthiest. Even so, you should always remember that the ketogenic diet is not a high-protein diet, it is a high-fat diet. That is why you need to avoid consuming too much protein. Also, you should avoid processed meats such as meatballs, sausages, and cold cuts since these foods can contain lots of carbohydrates. Shellfish and fish are both ketogenic-friendly foods. Salmon, as well as other fish, are loaded with selenium, B vitamins, and potassium, but they are carbohydrates free. On the other hand, the carbs found in different kinds of shellfish differ. For example, most crabs and shrimp do not contain carbs, while others have. Either way, make sure to consume two servings of seafood weekly. You can eat eggs in any way, for example, in an omelet, fried using butter, scrambled, or boiled, whatever you want. However, trying organic eggs is also a good idea and in fact it the healthiest option. The majority of calories on a ketogenic diet should come from fat. You will likely to get sufficient amount natural sources such as eggs, fish, and meats. Aside from those, you can also get fats in cooking, such as coconut fat, butter, and olive oil. In addition, you can also high-fat sauces like Bernaise sauce. Both fresh and frozen vegetables are fine to consume on a keto diet. However, choose vegetables that grow above the ground particularly green leafy vegetables. You can also eat other vegetables such as broccoli, zucchini, avocado, cauliflower, and cabbage. As a matter of fact, vegetables are considered as a tasty and great way to consume fats during a keto diet. Either way, most people who are starting keto, eats vegetables as an alternative to potatoes, rice, and pasta. This food can be consumed in restraint, but you need to be careful when taking nuts as your snacks. Furthermore, keep in your mind that cashews are rich in carbohydrates. That is why instead of eating cashews eat pecan or macadamia nuts. Cheese is a delicious and nutritious food and in fact, it is rich in fat but contains very low carbs. On the other hand, eating cheese on a regular basis can aid in losing muscle mass and reduces the strength that arises with aging. The biggest challenge with starting on the keto diet is getting into ketosis. That’s the process your body uses to create ketones. Ketones are what give you your energy and fuel instead of carbs once you are on the keto diet. If you want to jumpstart the process, you can use exogenous ketones, which is just a fancy way of saying you put the ketones into your body, rather than your body making them. You can drink them in a shake or any other way. Check out this post on how to use them. The keto diet is great for losing weight, controlling blood sugar, and other health-related objectives. With the keto diet, you are still allowed to consume a wide a variety of versatile, nutritious, and tasty foods that let you stay within your everyday carb range. However, if you really want to acquire all the benefits of keto diet make sure to eat the seven foods above regularly. You have probably heard about a high-fat, low carb diet called “keto diet” that is so popular because it encourages the body to burn fat for fuel while providing you proper nourishment with whole foods. But the keto diet for beginners can be a challenge. But here comes a common question from beginners who wish to try a keto diet. Knowing what you should eat on a keto diet can help you get started easily and increase your success. So, we made it simple for you with this 1 week keto diet meal plan for beginners to help you start your diet with as little effort as possible! All of these recipes come courtesy of the folks at Perfect Keto, the best source I have found for REAL keto diet information and supplements. Check out their recipes and more at Perfect Keto. p.s. If you click that link, they will give you an entire keto cookbook free if you enter your email address. Here’s the link for that. In a blender, add coconut milk, brazil nuts, almonds and spinach. Blend the ingredients until pureed. Add the rest of the ingredient and blend well. Marinade steak in the tamari soy sauce. Prepare salad by tossing salad greens, radishes, tomatoes and bell peppers with salt, lemon juice and olive oil. Add olive or avocado oil into a frying pan on high heat and cook the marinated steak. Slice steak and top with salad. In a frying pan, melt the ghee. Add cod fillets into the pan. Cook on medium heat. Wait for the fish to have a white color up to the side, then flip and add minced garlic. Cook until fillets have solid white color. Serve with some ghee and garlic from the pan. Mix stevia, swerve, cacao powder, water or almond milk, coconut milk, and chia seeds. Top with dark chocolates or cocoa nibs and serve. Add ghee or butter to a pan and add all ingredients from step 2. Season with salt, cook for 5 minutes and set aside. Whisk eggs in a bowl. Add herbs and cream, season with ground pepper and salt and whisk thoroughly. Mix egg mixture and cooked vegetables in a baking dish. Crumble goat cheese all over. Remove dish from oven and lower temperature to 350 degrees Fahrenheit. Lay bacon over the frittata and place back in the oven for another 15 or 20 minutes. Preheat oven to 3400 degrees Fahrenheit. Place salmon in a baking tray and drizzle with ghee or coconut or olive oil. Season with pepper and salt. Place in the oven and cook for 20 to 25 minutes. Wash spinach and remove excess water. Add olive oil or ghee to a skillet over medium heat. Add spinach and cook for 3 to 5 minutes while mixing. Season with salt. Add coconut milk or heavy whip cream. Mix for a few minutes and remove from heat. Remove salmon from the oven. Whisk eggs in a bowl with pepper and salt. Pour eggs into the pan and stir for 1 to 2 minutes. Put salmon in a plate. Top with spinach, lime and mayonnaise. Drizzle olive oil and season with pepper and salt. Cut chicken pieces into bite-size and season with pepper and salt. Melt butter in a skillet and fry chicken pieces on medium heat. In a bowl, mix heavy cream and pesto. In a baking dish, place fried chicken pieces with garlic feta cheese, and olives. Add pesto. Place a can of coconut milk into a fridge overnight. Transfer coconut milk to a bowl and mix with a spoon. Top with berries, almonds and cinnamon. Tear leaves of lettuce, wash and drain. Spread leaves in a bowl. Add shredded or drained tuna. Top with hardboiled eggs, mayonnaise and lemon juice. Rub pork chops with 1 tbsp of ghee from both sides and season with pepper and salt. Add 1 tbsp of ghee to a pan. Cook pork chops for about 2 minutes. Turn to other side and cook for another 2 minutes. Lower heat and cook for another 5 to 10 minutes on each side. In a non-stick saucepan, add all ingredients. Mix well and place it on low heat while constantly stirring. Serve with cream or coconut milk. Cook eggs in a boiling pot of water. Place spinach, tomatoes, mayonnaise, artichokes, shrimp, and eggs on a plate. Drizzle olive oil over spinach and season with pepper and salt. Mix cream with lemon juice and pesto. Add pepper and salt. Season chicken with pepper and salt. Fry in butter until golden brown. Place fried chicken in baking dish and pour cream mixture. Chop cherry tomatoes, leek, cauliflower. Top chicken with chopped ingredients. Sprinkle cheese on top and bake for 30 minutes. Add coffee, coconut or almond milk, coconut oil, and ghee in a blender. Drain olive oils from sardines and mash sardines. Combine mustard, lemon juice, cucumbers, and sardines in a bowl. Season with pepper and salt and mix well. In a large pan, place cauliflower with coconut oil. Stir regularly over medium heat. In a different pan, scramble eggs with coconut oil. Add eggs to cauliflower. Add chopped chilies, garlic, and ginger. Add shredded chicken meat when cauliflower is soft. Add tamari soy sauce and salt to taste. Place eggs in a boiling pot of water. Serve with mayonnaise and avocado slices. Mix ingredients for dressing in an immersion blender or with a whisk. Set aside in the fridge. Place chicken in a baking dish that is greased. Drizzle melted butter or olive oil to chicken and season with pepper and salt. Bake chicken for 20 minutes or until cooked. Fry bacon and shred lettuce. Place lettuce at the base of a bowl. Add chicken and crispy bacon. Add the dressing and top with parmesan cheese. Chop salsa ingredients. In a small bowl, stir ingredients. Mix half the cheese and seasonings into the ground beef. Make a patty and fry into a pan or you can grill it. Add cheese on top. The weight loss industry is filled with myths, contradicting information and flat out fake science. To keep you from getting frustrated and confused, I wanted to talk about 4 common keto diet weight loss myths. The ketogenic diet has blown up in popularity over the past few years and there’s no end in sight as people realize that it works. Just like any other diet, it has its pros and cons… and no diet is perfect for everybody. The good news is that with the keto diet, there is a period where you’ll need to adapt but things get better. Most people are addicted to sugar and carbs. Switching to a diet that gets 80 to 90 percent of its calories from fat can be challenging but it can be done, especially with help from supplements like exogenous ketones and done for you meal plans. All diets work if you follow the plan. However, the speed of weight loss will vary from individual to individual. Will you lose more fat with the ketogenic diet? You might, if you follow the diet and don’t break from it constantly. Want to get a jump start on the keto diet? Check out this free (you pay shipping) cookbook or these done for you keto meal plans. You might think that there isn’t much room for non meat eaters to start the keto diet. But in fact, lots of vegetarians are having success on the ketogenic diet. There are some great options on the keto diet for vegetarians. Now, these two diets might seem to be at war with principles, but it is not impossible for them to meet in the middle. And yes, vegan keto diet is possible! However, it takes a little extra thought for creating recipes that would fit a vegan keto diet. Here are perfect keto diet recipes for vegetarians to get you started! Do you love pasta dishes? Spaghetti, baked mac, or lasagna? What’s that? You’re on a keto diet? Well, here’s a good news for you! The Baked Keto Spaghetti Squash is a great alternative for your pasta dish! While most people under the keto-diet or any other type of low carb diet, pasta is a sin. Why? Because it’s loaded with carbs! Now you can enjoy a pasta dish with only 5.5 grams of net carbs per cup! During winter days, there is nothing more comforting than sipping a large, hearty bowl of warm soup! And this hearty Broccoli Cheese soup is perfect for people doing a keto diet and is loaded with nutrients like calcium, Vitamin A and C, and phytonutrients. Most people doing a keto diet face temptations of sweet treats from every corner. Now, a high-carb treat would be a disaster to your progress. If you really resist a sweet treat, try this Pumpkin Spice Fat Bomb. You do not have to worry about over-eating these wonderful sweets. Each bomb has 8g of fat and less than 1g of net carbs. I’m sure you’re missing your favorite pasta dish now that you are doing a keto diet. You might be tempted to take a bite of grandma’s baked mac and cheese, but you need to hold it in! Good thing for you, there is a keto mac and cheese alternative just for you. By using cauliflower as a replacement, you’re sure that you are not committing any sin on your keto diet. Chips— this very word is a taboo in the keto diet plan. They are not keto-friendly, loaded with carbs, and unhealthy. The good news is, there are new healthy, keto-friendly chips in town! Crispy Kale Chips are among the healthiest and easiest keto snacks you can make that will satiate your chip cravings. Well, how about a keto-friendly alternative? Sounds interesting? Try this low carb side dish recipe called Rosemary Cauliflower Mash and Gravy. With only 6.6g of total carbs and good 27g of total fat, this comfort food will make sure that you don’t swerve your way out of ketosis. When under a keto diet, there are few root crops that we can enjoy. And that means, no more potato fries for you! Now, don’t be sad, there is a good alternative to your favorite fries. Celeriac is less starchy than potatoes which makes it keto-friendly. There’s no need to sacrifice your macros, these fried strips of celeriac will satiate your craving for potato fries. When things get boring, the tummy might ask for attention. You might open the fridge and see flavored crackers that look really yummy at the time, but you need to resist high-carbs. Why not try this flaxseed cracker recipe? Because it is loaded with dietary fibers, you get zero net carbs with a good dose of magnesium. One of the first things that drew me into the keto diet was not just weight loss, it was the mental sharpness. I also love coffee. When I heard that you could combine all three, I was all in. I started out using MCT oil, but it didn’t work for me. That’s why I switched over to MCT Oil Powder. I’ll tell you why. MCT’s have become the new trend in the ketogenic industry for good reason. Ever since I started the ketogenic diet, I’ve been mixing MCT’s into my coffee in the morning, in my protein shake for lunch and sometimes with my evening tea. But I had to use it very sparingly. I noticed that anytime I consumed too much MCT oil, it would cause digestive issues. That’s when I found out about Perfect Keto’s MCT Oil Powder. It’s been a literal game-changer for me because I’m able to use fairly large amounts of MCT Oil Powder to experience the mental clarity I loved so much but without the stomachaches I got with MCT oils. Once you read through this [Perfect Keto’s MCT Oil Powder – Insert Your Link Here] review, you’ll understand why I think this product trumps everything else on the market. MCT is short for medium chain triglyceride. Due to the shorter fatty acid chain, MCT’s can be converted directly into energy and can be used as fuel for the brain much easier as compared to longer chained fats. What is MCT Oil Powder ? MCT Oil Powder is the powdered form of MCT Oil. It goes through a production process called spray drying. The powder is usually comprised of starch and milk proteins which means most MCT Oil Powders on the market are not pure MCT oil products. I switch to the powder because the oil is messy and harder to work with. Initially, I was discouraged to give MCT Powders a try specifically because I didn’t want to ingest all of the unnecessary fillers that came with it. But after finding out that Perfect Keto MCT Oil Powder had absolutely zero fillers, I knew I struck gold. I love to use MCT Oil Powder mainly for my coffee in the morning and I also like to include it in my post workout shake. It’s now part of my daily supplement regimen. Step 1: I will brew a single cup of coffee using a keurig and a k-cup. Step 2: Pour the coffee into a blender along with one serving of Perfect Keto MCT Oil Powder. Step 3: Transfer this delicious frothy coffee into a coffee mug. Step 4: Enjoy my delicious coffee. Step 1: Add one to two servings of Perfect Keto MCT Oil Powder into a shaker cup with protein powder. Step 2: Bring the shaker cup to the gym and do my workout. Step 3: Immediately after exercising, I will add water to my shaker cup. Step 5: Enjoy my protein shake mixed with Perfect Keto MCT Oil Powder right away. I love to add MCT Powder to my protein because I feel that it helps me recover faster and gives me more energy to get on with my day after a hard workout. I honestly feel like I can’t go a day without MCT Oil Powder because of how great it makes me feel, physically and mentally. Adds creamy texture. The powdered form produces a creamy texture that adds a nice flavorful layer to my coffee and protein shake. To-Go Friendly. I can carry my MCT Oil Powder with me wherever I go without stressing about spillage. Also, it’s much easier to measure a scoop of MCT Oil Powder as compared to the liquid form. No Fillers or Additives. Unlike other MCT Oil Powders on the market, Perfect Keto went above and beyond to make sure there aren’t any fiber additives or corn starch included in their product. This means I don’t have to worry about any hidden sugars or carbs to kick me out of ketosis. Why Do I Use MCT Powder Over MCT Oil? Like I said earlier, I stopped using the MCT oil in favor of powder. I still use MCT oil every now and then but, the powdered form has become my preferred supplement for more reasons than one. It’s easier to incorporate MCT Oil Powder into solid foods such as adding it into a cake, brownie or other baking recipe. It’s common for people to experience digestive problems like diarrhea when using MCT oil. One of the biggest reasons why I switched to the powdered form is because it’s much more tolerable and I find that I can use larger amounts without experiencing any gut distress whatsoever. What is Perfect Keto’s MCT Oil Powder Made Of? The reason I chose Perfect Keto MCT Oil Powder over the hundreds of other brands on the market is because they went above and beyond to make sure their product doesn’t have ANY fillers or additives. Their product is 100% pure and each batch is lab tested which is something I know that not all companies do. Perfect Keto MCT Oil Powder is my top choice when it comes to MCT’s. Using MCT’s is a staple for anyone following a low carb, high fat ketogenic lifestyle. The guaranteed purity as well as the peace of mind that the Perfect Keto MCT Oil Powder has zero fillers or additives makes it my preferred product by far. Need Help Getting Started on the Keto Diet? I think we can agree that hardest part of losing weight on the keto diet is getting into ketosis and staying there. Once you're in ketosis, your body will start producing ketones that will give you more energy and focus than ever before. What if I told you that you could boost that process and get ketones right away? Awesome, right? That's what exognenous ketones are all about. Long name, simple idea. Here's a review of what I've found to be the best exogenous ketones on the market, plus a few other things that will kickstart your keto journey and get you rolling without all the frustration and setbacks. When you're looking for keto supplements, keep an eye out for these guys: Perfect Keto. No hype, no pushy mulit-level marketing stuff, just tons of good information and a great product to back it up. They are a US based company created by Doctor Anthony Gustin, their formulas are designed to boost energy while getting you back in shape. The goal of the keto diet is for your body to get energy from ketones, not glucose. Instead of waiting for your body to make them, exogenous ketones bring them to you. Perfect Keto Base is the product we recommend. Dr. Anthony Gustin developed the line of products to aid his patients in improving their overall wellbeing. The Perfect Keto Base is more affordable compared to other ketone supplements. This is because some of the other popular ketone supplements are available through multi-level marketing. Not only are those pricey, but not all sellers are knowledgeable enough to be qualified distributors. The Perfect Keto Base costs less than $60. It comes in four flavors: Chocolate Sea Salt, Peaches and Cream, Coffee, and Vanilla. You can mix it in plain water because unlike other base powders it does not taste bitter. For a more flavorful drink, you can add it into any low- or no-carb drink like almond milk or shakes. If you are starting a ketogenic diet, this is a perfect supplement to aid you. It will help keep your body stay in ketosis. Instead of getting energy from glucose, the ketones will break down fat to get energy. Naturally, our bodies produce ketones when we need energy from fat. Taking in exogenous ketones will help elevate ketone levels. The main ingredient in the Perfect Keto Base is the beta-hydroxybutyrate (BHB). If you are taking in fewer carbs, you will need BHB molecules. These are one of the ketones that will give you energy while you are on a ketogenic diet. It boosts your energy, but it does not give you sugar crash, which you usually experience when drinking energy drinks. According to its website, the Perfect Keto Base does not have carbs, gums or fillers, and sugars. Another good thing about this product is that it does not taste as bitter as other ketone powders. The natural flavors of the Perfect Keto Base are probably the most appealing to its customers. Well, aside from it being more affordable of course. You can use the base anytime throughout the day. You can use it in the morning or the afternoon. Anytime whenever you want a healthy energy boost. It is perfect to use before a workout so you can keep your energy levels up. Adding the Perfect Keto Base to your diet might cause some discomfort to your stomach. If you are new to this, try only mixing half a scoop into your drinks. Unlike energy drinks, the Perfect Keto Base boosts energy naturally and smoothly. No jitters, no heart palpitations, or other side effects usually caused by highly caffeinated drinks. Users of the product have appreciated the amazing taste of the product and have stated that just after an hour’s use of the product a rise in ketone levels was seen. Other state that the product is reasonably priced and delivers energy benefits in a short span of time even for people who have never worked out in their lifetime. However, some others express that the product packaging is very small and for some the product is too salty. Or You can purchase it here at their website for The Best DEAL! A healthy diet does not have to mean suppressing yourself from eating tasty food. When you are on a ketogenic diet, the Perfect Keto Nut Butter is a healthy snack option. The low-carb lifestyle keeps getting better. The 8 oz. jar will only cost you less than $20. Nut butter is a good alternative to peanut butter. It has no sugars or fillers, just a healthy and guilt-free option for you. The Perfect Keto Nut Butter is loved for its amazing taste. If you are buying only one jar, it may not last you very long. Once you get a taste, it may be hard for you to stop that is how good it tastes. The ingredients of this product are raw macadamia nuts, raw cashews, raw coconut butter, MCT oil, vanilla bean powder, and sea salt. This nut butter is essentially plant-based and is filled with healthy fats. It will be your healthy source of energy when you are on the ketogenic diet. The Medium Chain Triglycerides or MCTs in this nut butter is a key ingredient in the ketogenic diet. They are fatty acids that fuels physical and mental activities in the body. They are digested quickly and improve the production of ketones. MCTs are naturally found in coconut and palm oils, but for this nut butter, they are derived from coconuts. This nut butter is not just for those on the ketogenic diet, of course. Anyone who is on the lookout for healthier snack options is welcome to eat this tasty snack. If you are just a person who wants to take better care of your health, the Perfect Keto Nut Butter is a good choice. The Perfect Keto Nut Butter has an oily consistency. If you prefer, store it in the refrigerator to chill and to solidify a little bit more. You can add this to your drinks, toppings for muffins or cupcakes, even as a replacement for peanut butter recipes. You can even eat it straight out of the jar. This is a healthy and delicious source of energy and also improves mental clarity and sharpness. It is also good for digestion and normal hormone function. Keto Collagen is a low-carb protein powder that provides the body with complete collagen. Collagen is an essential structural protein in our body. It has a full amino acid profile and makes up 30% of the body's total protein content. This long-chain amino acid is the most abundant protein in our body. This only cost less than $40. Collagen is not only good for the body but the skin surface. Our skin's protein is made up of 70% collagen. This is why many skincare products use collagen, especially the "age-defying" ones. Collagen restores the skin's elasticity. Not only that, but it also improves hair, nails, tissues, and joint strength. This keto collagen from Perfect Keto is a mix of grass-fed collagen and MCT powder. The collagen peptides came from grass-fed cows in the USA. Collagen is not usually found in a regular person's diet, but it should be because it is very important for the body. They also cannot be found in regular protein powders. MCT is an essential part of this Keto Collagen. It provides the healthy fat energy that the body will need. The combination of collagen and MCT makes the protein slowly absorbed. This will prevent it from being converted into glucose and instead it will be used for recovery. Keto Collagen will help you stay in focus as it helps in energy production. If you are trying to lose weight, adding Keto Collagen to your diet may help in boosting metabolism. If you are the athletic type, it may help improve endurance and performance. It will help you build some muscle mass and repair and recover muscles. You can drink Keto Collagen any time of day whenever you need an energy boost. Before or after a workout is a good example. Alternatively, in the morning before work, so you have the energy to take on all the work. Then, maybe in the afternoon to avoid drowsiness. Anytime you need to. If you are new to this, you might want to start with a half scoop first. Then, as you continue, just increase the amount. It also depends on the weight you are trying to achieve. Whether weight-loss or weight-gain, Keto Collagen is a healthy choice. Another good thing about this product is that it contains no substances that may cause harm to your body. It has no soy, dairy, gluten, or artificial sweeteners. It is pure goodness. It tastes amazing too. Aside from the unflavored one, they offer it in chocolate and vanilla flavors as well. You can mix this in plain water, iced coffee, almond milk, or coconut cream. You can also blend it with the MCT oil powder for extra creaminess and healthy fats. Or you can purchase them here a their website! Medium chain triglycerides or MCTs, as mentioned before, are the source of the preferred energy of your body. If you are having trouble digesting the MCT oil, this powder is a lot easier to digest. This product comes in 10.6 oz. cans and is priced at less than $40. This is great to use when you are on a ketogenic diet. The MCT Oil Powder promises that it will not raise your blood sugar levels. It does not contain fake ingredients or fillers. This is also gut-friendly. Acacia fiber is one of the listed ingredients of this product. MCT Oil can help in the reduction of appetite and weight loss. This is why it is a perfect supplement to the ketogenic diet. It improves brain activity and may even have a positive effect against neurodegenerative diseases. If you are an athlete, this could help with your performance by increasing your energy levels. It can also reduce your risks from certain diseases such as diabetes, cancer, atherosclerosis, cardiovascular diseases, autoimmune diseases, and epilepsy. It can also prevent non-alcoholic fatty liver disease. MCTs are used by your body directly for energy, and it does not get stored as fat. The MCT Oil gets converted into ketones in the liver after it gets diffused through the intestinal membrane into the bloodstream.it does not need bile or pancreatic enzymes to get it moving through your digestive system. This also has a positive effect on your stomach. It may help get rid of microorganisms from your gut. The antioxidant and anti-inflammatory qualities of this may help eliminate pathogenic bacteria, viruses, fungi, or parasites. If weight loss is your primary concern, this is a good supplement to take with your diet. It will prevent the deposition and accumulation of body fat. Your body will use the energy from ketones instead of carbs. It will burn body fat and produce more ketones to supply you with energy. This powder will give you long lasting energy and focus. It will provide you with energy, but it will not have the crash effect. It will support your cognition and mental clarity. It will also help maintain proper metabolic and cellular function. Perfect Keto's MCT Oil Powder can be used any time of day. You can mix it in your drinks. You can use it as a snack so it will keep you feeling full and more focused all day. You can also use this before an exercise. Or whenever you feel like taking in healthy fats. Adding this powder into your diet does not have to be so complicated. Stir or mix it in, and you are good to go. You do not have to use a blender for it. It can significantly improve the taste and texture of your drinks. It comes in chocolate and vanilla flavors too. You can try those if you do not like the unflavored one. You can add it to your coffee, tea, or smoothies. Or just take it in with plain water. Any cold or hot drink that you prefer will do. Being healthy and fit does not have to mean tiring yourself out after a strenuous workout. Or sticking to tasteless food to maintain your physically fit body. The Perfect Keto products listed above are all good suppliers of energy, and they all taste really good too. 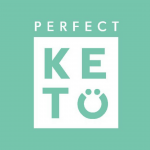 Perfect Keto only uses the highest quality of ingredients in their products. They do not add fake ingredients or fillers or anything that can potentially cause harm to the body. Developed by a doctor, it proves to be a healthy option for anyone looking for supplements to aid in improving the body's condition. Keto Calculator: The Easy Ketogenic Macro Calculator. Numbers are a big part of success on the keto diet. Not only do you need to keep track of what you eat, you also need to know what your target is. Starting the keto diet without knowing your macros is like going on a road trip without GPS or a map. You have no idea where you are heading. Having your macros will help you avoid the 5 most common mistakes people make when they start the keto diet. Using mobile apps are a good way to track your carbs intake. Such apps will help you see the exact amount of carbs and calories you eat. This test is quite simple. You just pee on a stick, wait for a few moments, and read the strip for your ketone levels. You can get keto test strips from Perfect Keto here. Everybody is talking about the keto diet, but getting started can be hard. If you’re just getting started, check out this list of the 5 best ketogenic diet foods for beginners. The Keto diet has gained popularity over the past few years mainly because it’s awesome. When done right, it can not only help you lose weight, but also help you feel more energetic. The key to success is eating the right foods. Let’s take a closer look. But first, let’s define what does ketogenic diet really means. A simple way to describe what keto means is when you eat something that contains high fat, moderate protein and low carbs your body produces ketones in the liver and converts it into an energy source using glucose and insulin. The sole purpose of keto is to keep your body in the ketosis or the metabolic state – or simply it keeps your mental and physical performance at its best. Pretty awesome, right? Now let’s get started. Low carbs and high in fat, that what dairy products such as butter, heavy cream, sour cream, full-fat cheese, and ghee has to offer which makes it in the list of healthy keto diet foods. Full-fat dairy products are known for its tons of health benefits such as reducing belly fats, improves blood pressure, glycemic control, triglycerides, and cholesterol. So, add butter or cream in your veggies now and expect an optimum result. As one of the healthiest low carb fruit (yes, it’s not a vegetable) on the planet is Avocados. You should put this one on your keto diet grocery list mainly because it has a lot to offer – from essential vitamins such as vitamin K, vitamin C, vitamin E, and vitamin B1, B2, B3, B5, and B6 to minerals such as iron, magnesium, zinc, and manganese. In addition, avocados also contain 6 grams of fiber, 500 mg of potassium, and 11 grams of carbs which is all essential for a keto diet. Ah, those delicious nature’s perfect food in the morning – eggs, is probably the keto dieter’s best friends mainly because it contains zero carbs but high in healthy fats and high-quality protein that great for the body’s cognitive function and mental health. Eating eggs means eating healthy when you’re on a keto diet. Coconut is known for its numerous health benefits and undoubtedly it gains its position on the list of acceptable food for a keto diet. Coconut oil from coconut-based foods such as coconut milk, shredded coconut, and coconut flour can contain about 70% of the special type of fat called the MCTs or the Medium Chain Triglycerides – what the heck is this? MCTs are metabolized, absorbed, and used for energy and keto production which boost the body’s metabolism, improve insulin sensitivity and suppressing the appetite. So if you’re looking for something that can eliminate those embarrassing body fats – coconut oil is the answer. Omega-3 fatty acids EPA and DHA found in fatty fish such as sardines, mackerel, anchovies, herring, and salmon is the best way to support our bodily functions including immunity, metabolism, vision health, cognitive function, heart health, skin health, and a healthy inflammatory response. If you’re going on a keto diet, a lot of people who practice it swear of a better general feeling, more energy, less hungry and better focus on any activity. The amazing thing about keto diet is eating low carb, moderate protein, and high-fat foods which lets you enjoy tasty keto foods without depriving yourself of food intakes which are usually practiced by other fitness diet plans. Going on a new diet can be sometimes, problematic but having the proper knowledge of what to eat and what to avoid will help you achieve an optimum result and get the most out of your regimen.